A very warm welcome to our newsletter 'Lekker Living in South Africa'. Our newsletter will keep you up-to-date with the latest news, tips and insights to embrace life in South Africa, this is such a beautiful country! Please spread the word and share this newsletter with your friends and family to tell them about this awesome country and its amazing people. What South Africans call a 'braai' is actually a barbecue or BBQ. Experiencing a 'braai' is one of the first South African activities you will encounter when you meet South Africans. When invited to a typical 'bring and braai', guests might be requested to bring their own meat or sausage or even a salad or dessert. Best to call the host to ask what to bring. South Africans celebrate 'National Braai Day' on 24 September. What is a jol? This is a South African slang term for a fun time or party. 'Having a jol' means spending some great time together. * Visit Macufe: The Mangaung African Cultural Festival (MACUFE) in Bloemfontein is known for being the biggest and most culturally balanced showcase of African arts and culture. It is held annually in October. * Play in Sun City: This popular resort lies in the middle of the African bush veld includes a casino complex, a Gary Player designed golf course and a huge beach and wave pool. The nearby Pilanesberg National Park is a favourite with those wishing to experience big game viewing. Sun City is located about 200km north west of Johannesburg and especially popular with families during school holiday times. * Admire the View from God's Window: Blyde River Canyon in Mpumalanga is one of the largest canyons in the world. The panorama route leads past awe-inspiring viewpoints and many picturesque towns. Hermanus is dubbed the whale capital of South Africa, as hundreds of whales pass the shores of this scenic town between May and October. 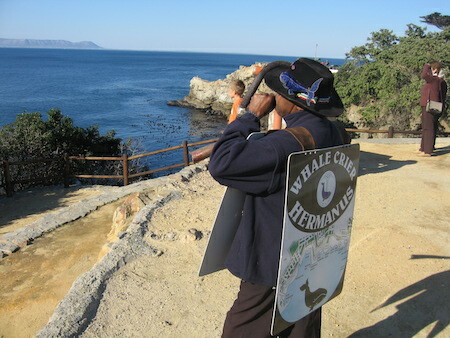 A must see is the Whale Crier who is unique to Hermanus as he announces the arrival of whales in the bay. What an experience! The Hermanus Whale Festival is a major drawcard to the town. During the festival more than 100,000 visitors are expected in town. This year, the Whale Festival takes place from 3 to 6 October. The only enviro arts festival in South Africa promises again an exciting line-up of events from environmental talks and a film screenings to craft markets and music shows. Other highlights include a half marathon and a classic car parade through the town. Remember to book now for accommodation if you want to stay in the area for the weekend. More about Whale Festival here. * Economy: The prime lending rate is unchanged in September at 9.25%. The unemployment rate is 25.5% in the second quarter of 2014. The inflation rate has slightly decreased to 6.4% (August 2014), but is above the target range of 3%-6%. South Africa ranks 41st (out of 189 economies) in the Doing Business Index 2014 of the World Bank. Registering a business or intellectual property in South Africa will become now more easy and efficient as the Company and Intellectual Property Commission (CIPC) has introduced a new website to speed up the registration process. Find the CIPC website here. * Travel with Children: As we have advised previously, new immigration regulations came into effect on 26 May 2014. For travel out of or into South Africa, all children will need to carry an unabridged birth certificate. The Department of Home Affairs has informed, however, that the new regulation regarding travel with children will only come into effect in June 2015. Remember this will affect everybody, tourists, visitors, expats as well as South Africans. So if you are not in possession of an unabridged birth certificate for your child and plan to travel in the near future, apply for this document as soon as possible. For more information regarding the immigration regulations click here. This saying conveys the meaning of the African word 'Ubuntu'. It describes that people are only what they are in relation to other people and that they cannot exist without other people and thus the word 'ubuntu' is often referred to as the 'essence of being human'. 24 September is Heritage Day, a national public holiday. Let us join in the celebrations of our heritage and show that South Africa is one nation where people of so many different backgrounds and cultures can live together in harmony. Read more about Heritage Day. Make sure you join our Facebook forum 'Living in South Africa' for regular updates and to share insights and tips on moving to and living in South Africa with other like-minded people. In our forum, on the blog and website, you will find many tips and news on happenings and events for expats and all who want to embrace life in South Africa. We welcome your great tips and comments and look forward to hearing from you! Interested in our new book? To order your copy of our book, simply drop us a line on the order form.